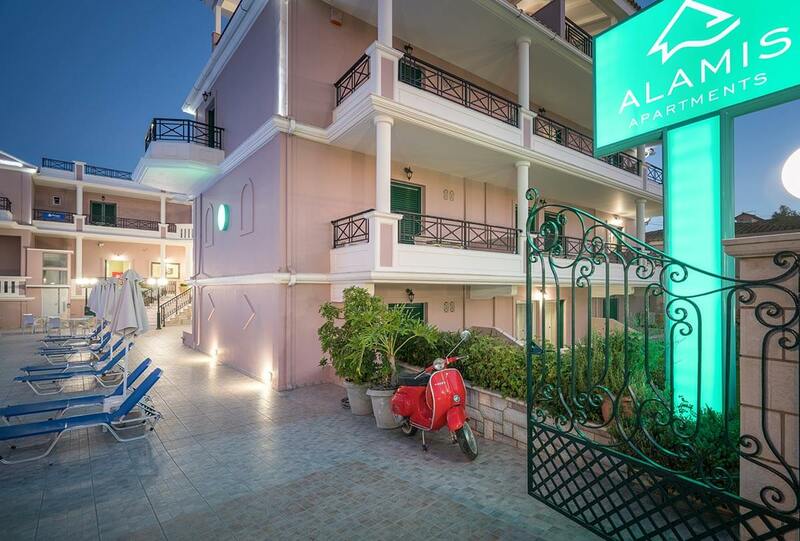 The Alamis Apartments are a family business located in the family friendly Tsilivi resort. The owners and staff are always on hand providing warm hospitality and assistance. The complex includes 3 buildings: the main building features apartments mostly overlooking the swimming pool, while the other two buildings feature studios overlooking the beautiful gardens and trees. 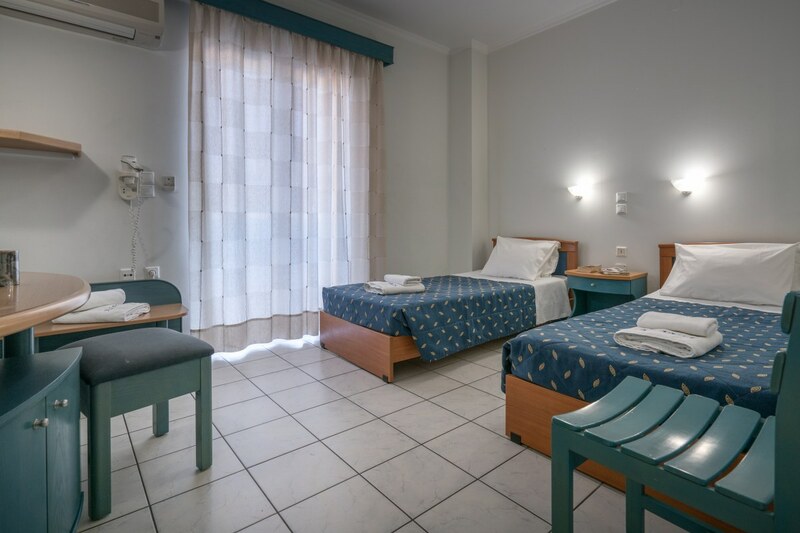 There are many facilities and services on offer such as swimming pool, children’s pool, snack bar, reception with lounge and internet corner, parking, WiFi internet access and more. The apartments are located very close to the resort’s amenities and the renowned clear, sandy beach which is ideal for children due to the shallow waters is just 100 meters away. 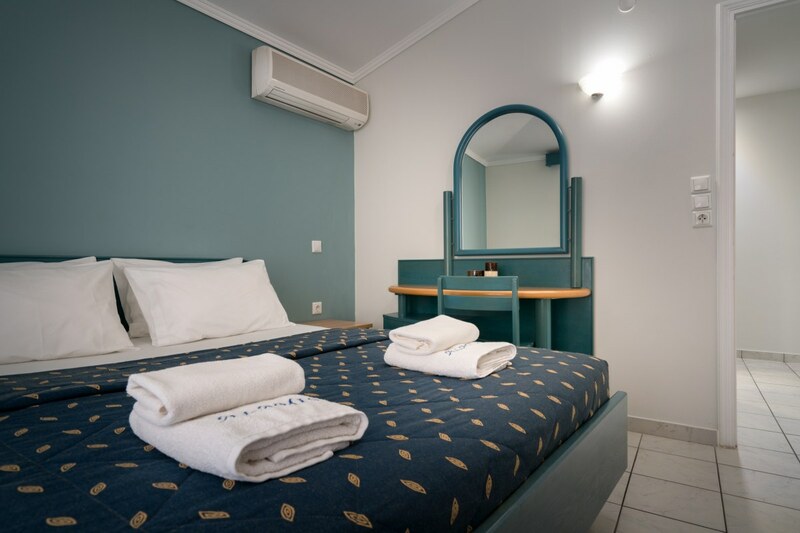 If you are looking for a relaxing holiday in comfortable accommodation, very close to the beach and the center of Tsilivi where you will feel truly welcome, the Alamis Apartments is your top choice! 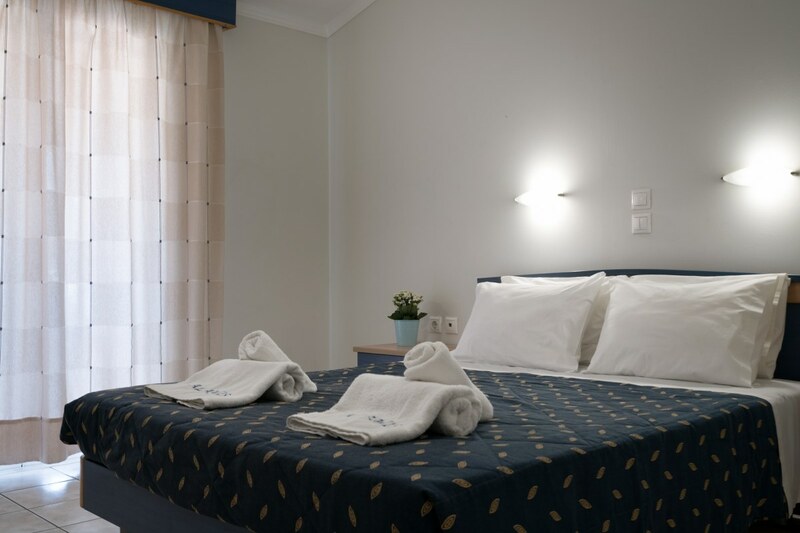 The complex features various room types in order to satisfy all guest preferences. There are studios suitable for up to 2 or 3 people and apartments with one or two bedrooms that can accommodate up to 4 people. I have stayed at the Alamis a couple of times now and when i can not get in i always return to say hello, the owners are very friendly and always remember you. I had a great time there this year and cannot wait to return. The hotel is very clean the food is always fresh and enjoyable. The pool barman Christos always greeted you with a smile, interacts and has a laugh with you and speak very good English, Best barman i have met by far. 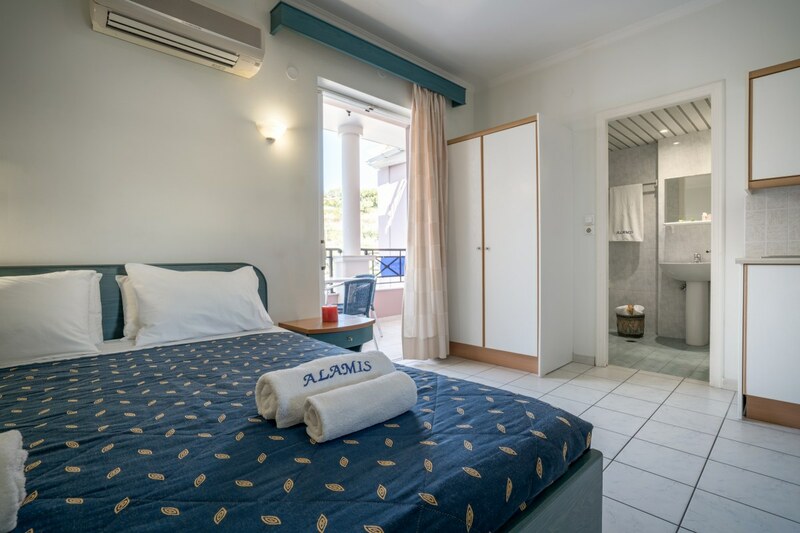 Stayed here for 3 weeks yes they are basic studios but good comfy bed good size bathroom and kitchen area with all you need to go self catering, they have good size balcony with table and chairs and clothes dryer. Room was cleaned regular with bedding and towels changed regular. Fabulous breakfast available to all at very reasonable prices. Pool clean and useable all day. There is a very well stocked bar by the pool for hot and cold drinks day and night. The owners and staff all speak English and are very friendly and nothing is to much trouble for them. Would definitely stay here again and would recommend to others. Location is also ideal very close to beach shops bars and restaurants as well as stops for buses. All in all a fab holiday. We've just returned from two weeks at the Alamis. We're missing it already! Located close to the lovely beach and lots of fantastic restaurants it's in the ideal location. It's very clean, maid service is daily, rooms are lovely and comfortable and there's always plenty of hot water. The Pool and adjacent Bar are excellent, the service from Christos, Jimmy and George is first class, snacks around the Pool are very reasonably priced and delicious. There are lots of guests who return each year who obviously love the Alamis and are all too willing to share their local knowledge. The Family running the Alamis are lovely, very helpful, friendly and accommodating, nothing is too much trouble for them. Air Conditioning, a safety deposit box and a hair dryer for bald men to dry their flip flops are in all rooms. We had a two bedroom apartment with a lovely balcony with table and chairs ideal for sitting out. We will definitely be returning to the Alamis. © Alamis Apartments. All rights reserved.